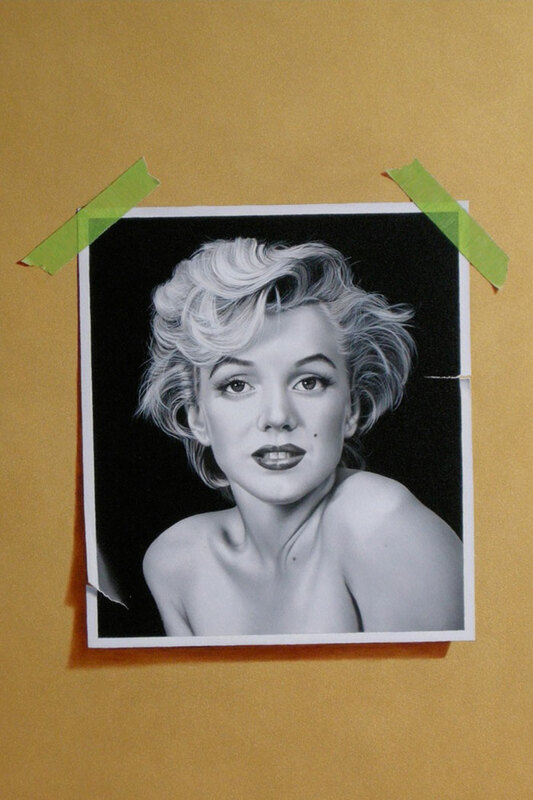 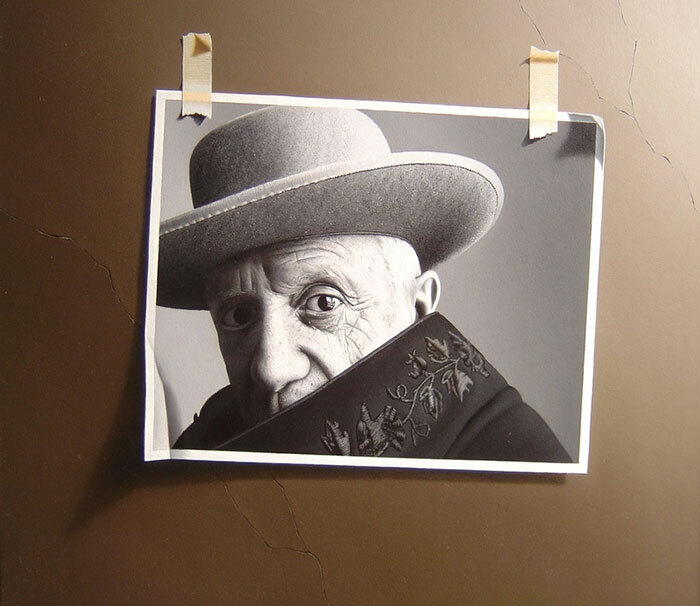 Trompe l’oeil paintings of famous 20th-century figures by American artist Otto Duecker. 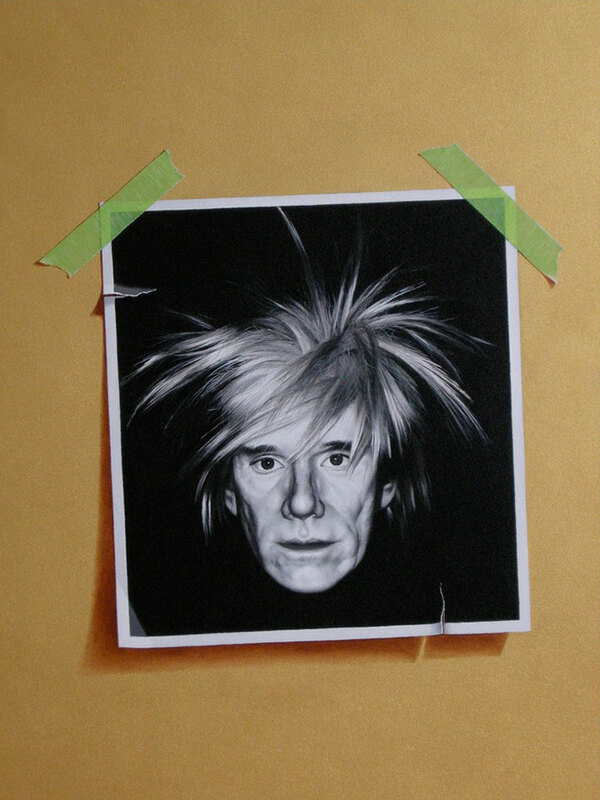 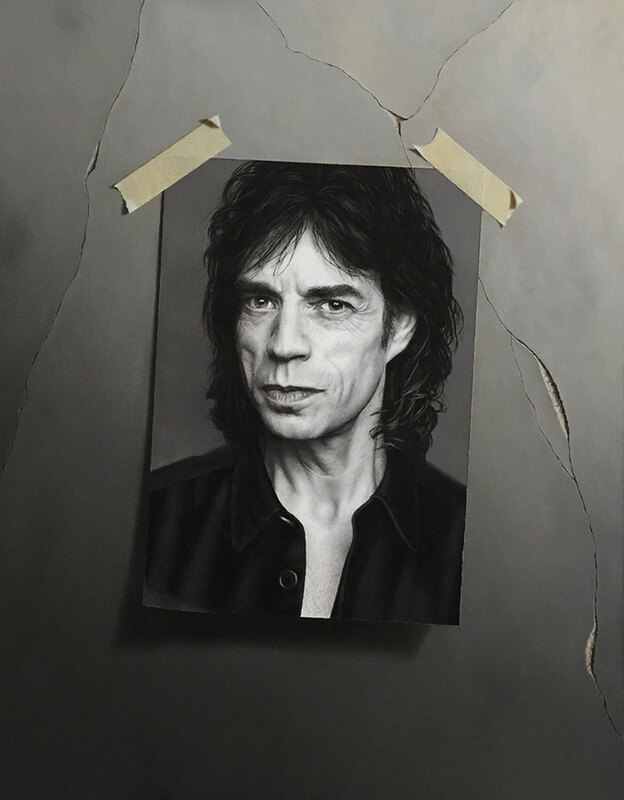 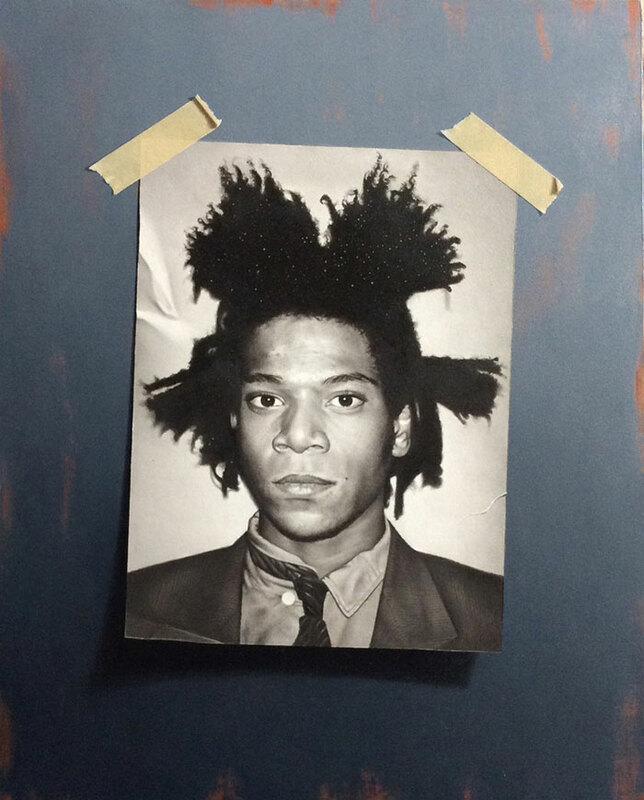 The works portray photos of figures such as Jean-Michel Basquiat, Mick Jagger, Marilyn Monroe, and even Yoda taped to a wall with their torn or crumpled edges, capturing their rich tonalities and surfaces. 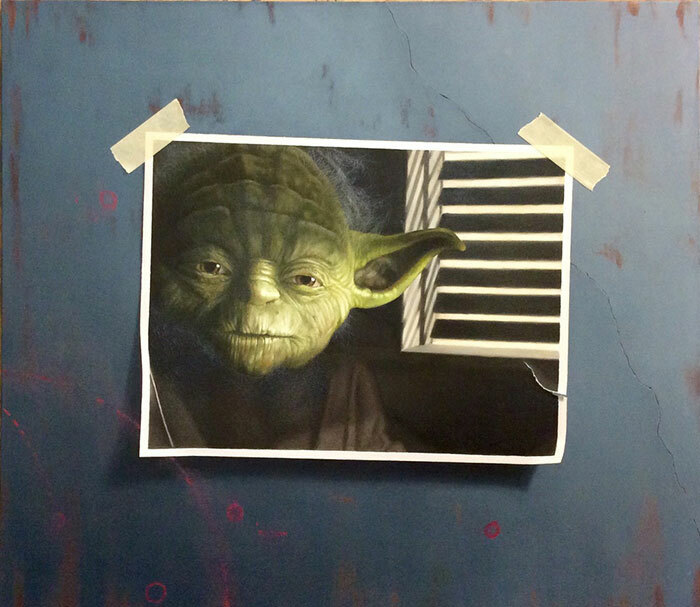 Otto Duecker has been exploring the realm of new realism for over thirty years using classical techniques that combine Photorealism and the hyperrealistic appropriation of photographic images. 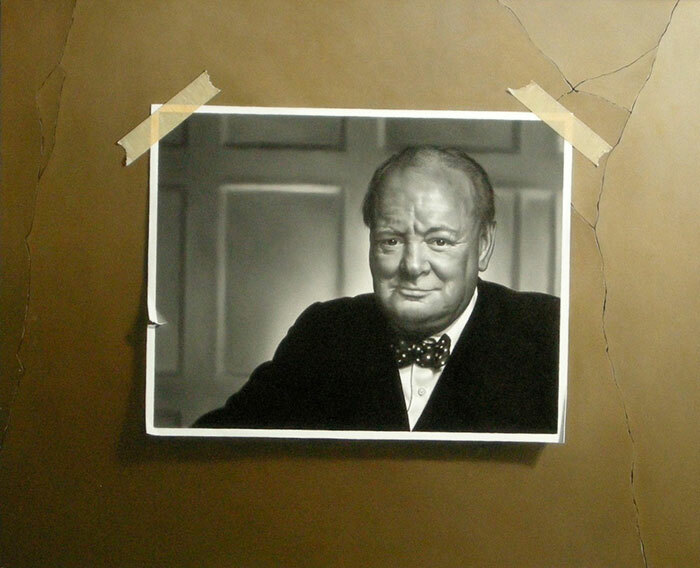 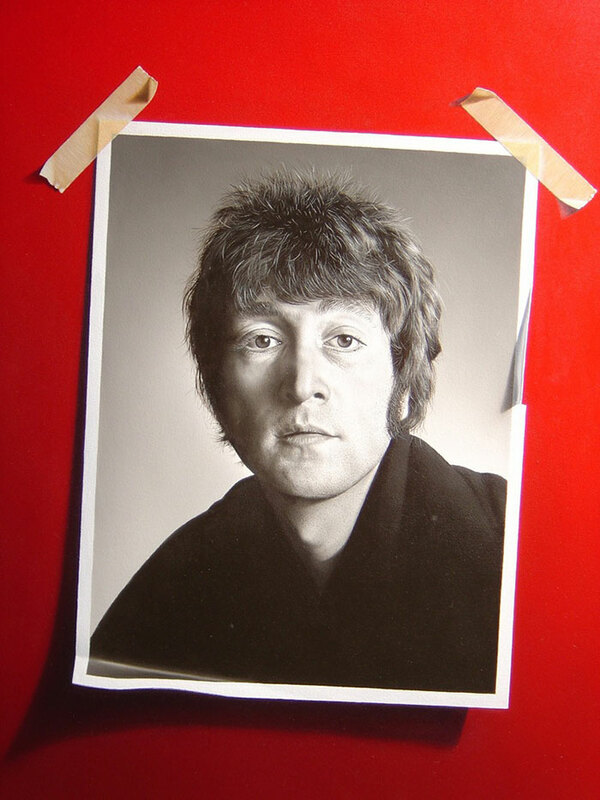 Trompe l’oeil paintings of famous 20th century figures.